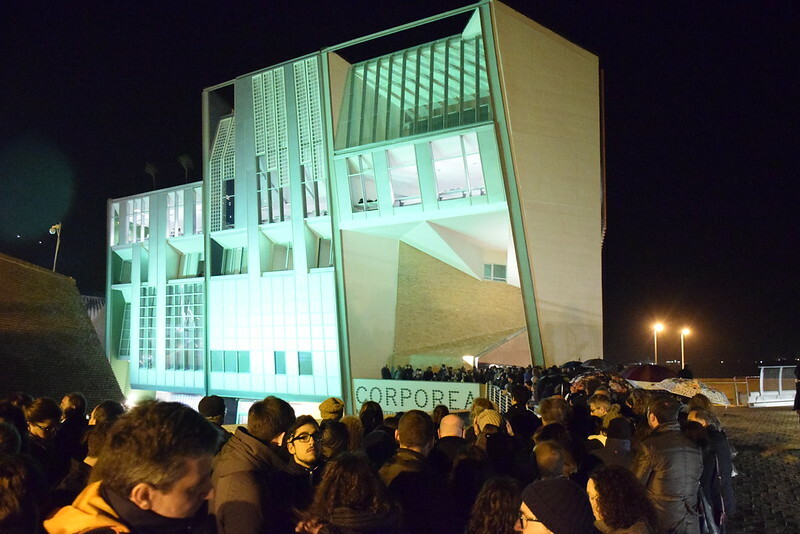 A big opening ceremony involving a lot of people took place yesterday March 4th for Corporea, the first interactive museum in Italy on the human body, and 3D Planetarium , the most advanced in Europe. Corporea opening happened in the fourth anniversary of the fire that burnt the Science Centre, creating a wave of emotion throughout Italy and beyond. The President of Campania Region, Vincenzo De Luca, stressed the importance “of accelerated spending to conclude this work of great importance. From Naples comes the confirmation of great powers“. The Minister of Territorial cohesion and the South, Claudio De Vincenti, stressed the centrality of Bagnoli agenda of the national government. ” the efforts made in the last year and a half, as a government, together with local institutions, we live it with great conviction. Today, after 23 years , new perspectives for Bagnoli raise are apperaing. the draft of Città della Scienza fits perfectly in the urban renewal process, especially in light of the agreement between the Città della Scienza and Invitalia, perfectly consistent with the restoration of the coast “. The rector of the University Federico II of Naples and President of the CRUI, Gaetano Manfredi, has placed emphasis on the effects generated by research. “Many of the ideas exploited here also come from the contributions of our researchers” Important conclusions entrusted to Valeria Fedeli, Minister of Education, University and Research, which in the hours before the opening ceremony visited the Incubator, the D.RE.A.M. FabLab and multimedia classrooms in Città della Scienza. “This place – said – is a reference point for all those who want to change. Here, four years ago, there was an act of intimidation aimed at hurting a vital system, in an area that someone would not growing. Today inaugurates a benefit of the community resource, researchers, students. You are a space of knowledge – the minister Fedeli added – born where criminal will wish you had created the desert. “The ceremony then moved to Corporea Building. Thousands of visitors in the first opening body to the city. 5.000 square meters of the Museum, set on three levels, 14 thematic islands, interactive installations, exhibitions that complement the traditional language with “hands on” experiments. March 19th , 2017, finally opens to the public the spectacular 3D Planetarium.